The first phase of parliamentary and provincial election has commenced in all 32 district from the morning 7 am according to RSS. Seven district under province number 1, six of province 3, six of province 4, two of province 5, seven of province 6 and four of province number 7 has already begun. 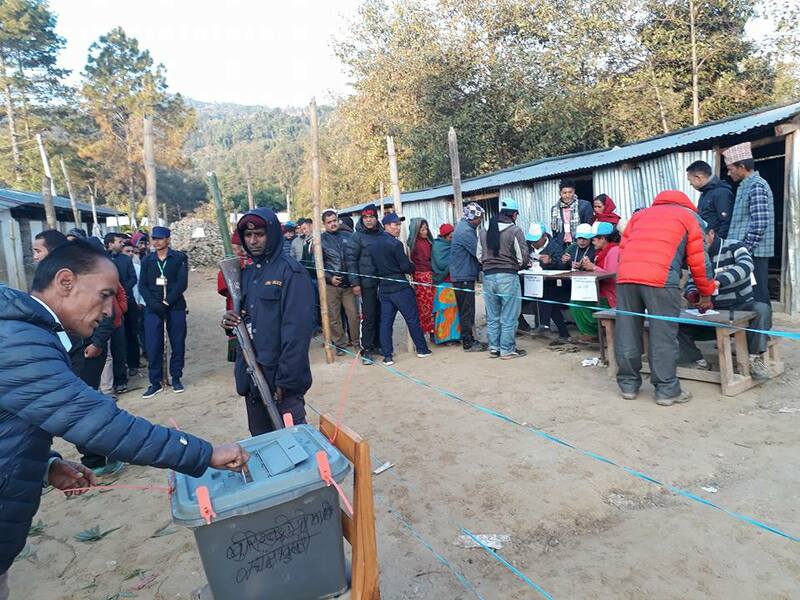 The voters are seen to be participating in voting exuberantly despite of chilling weather according to spokesperson Nawa Raj Dhakal of election commission. The election commission has appealed voters to participate in the election without any fear. This election is taken as vital for the implementation of constitution. There are 37 constituencies for HoR and 74 for provincial. For the first phase of election 702 candidates are contesting the poll For this phase 31,91,945 voters are using their voting rights in 2,919 polling stations and 4,465 polling centers according to the election commission.